Community, please read this in its entirety. A Documentary is being filmed in our area very soon. This Documentary is of Jackson, California. After meeting with the producer several times, it is a go. Per contract, we can not disclose certain details. Example, dates of filming or production company. What we need from the community is this: Anyone with historical information or experiences please contact us. One can be interviewed on camera or can just give info. We are looking for up to ten people to be interviewed. Also information from all. 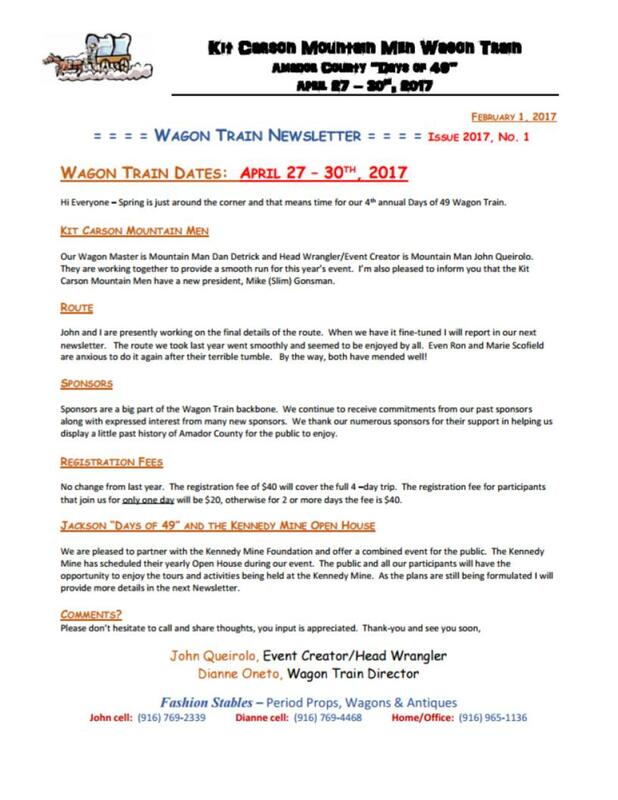 Looking for real stories of the western days. Experience with famous people that have visited or lived in Jackson. Example, John Wayne. Any experiences with the below listed areas. 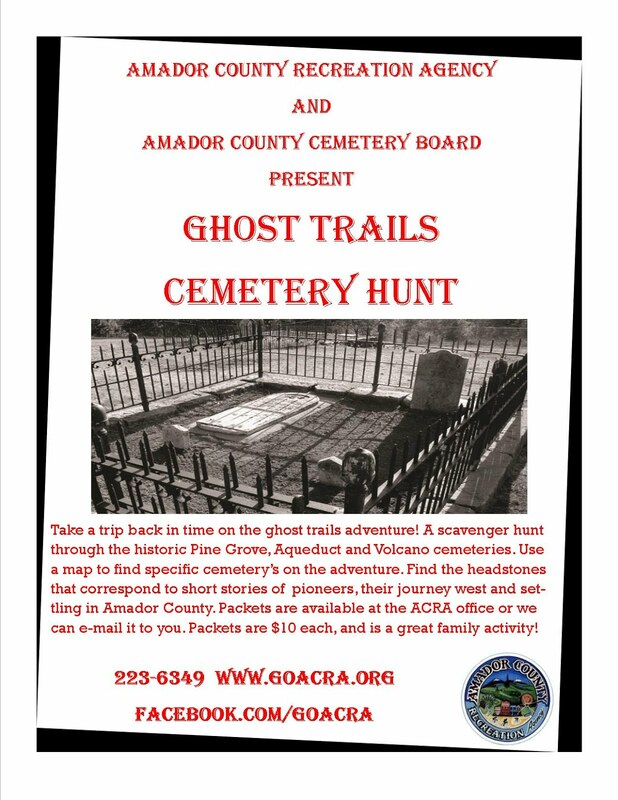 Could be personal, historical, a family members story, etc. You name it, we want it. A couple more structures are still in review. P.S. Stan and I are very excited about this. We feel it will be great for the community. Campus photo from the 1917 Jacksonian 99 years ago. 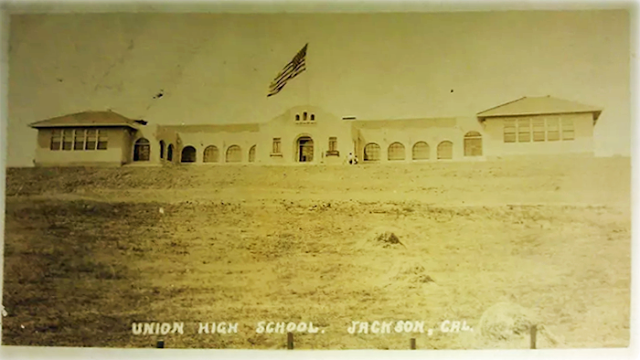 Another old view of Jackson Joint Union High School taken about the time it opened in the Fall of 1913. 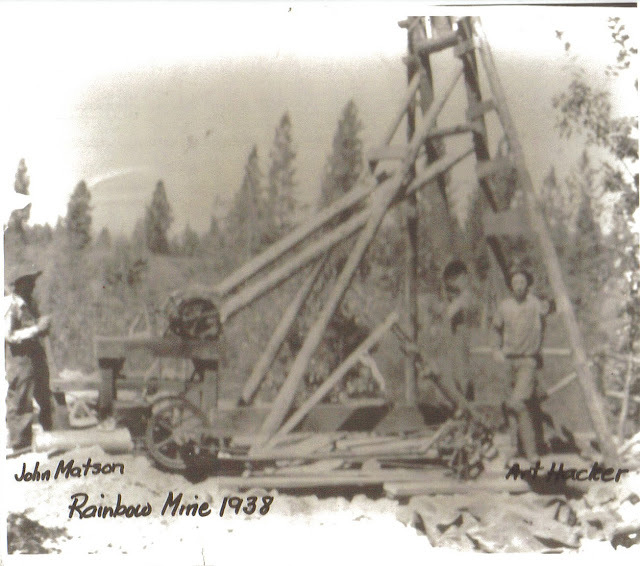 Rainbow Mine 1939 with John Matson & Art Hacker. Well, for any of you who are from the Bay Area and are of, shall I say…(ahem) “of a certain age,” you might remember a columnist who wrote for the San Francisco Chronicle, by the name of Stanton Delaplane. He had written a column called “Indian Summer Comes to the Mother Lode” on September 5th, 1953. My husband, Howard and I were living on Ord Court (near the Castro District) in the City and as a middle class family with limited means…were looking for ways to get out of town and not spend an arm and a leg. Howard worked with his brother-in-law in the dry cleaning business. At that time, we had two children, Karen and Dan. Our third, Adam, would be born two years later. Reading Delaplane’s column gave us the impetus to drive up to the Mother Lode to explore, and we immediately fell in love with the area. As we dropped down the second grade into Volcano, it was magical and I could feel it right away. I have described this phenomenon many times over the years ever since. Seeing the St. George Hotel as we arrived, we slowly drove down the Main Street. We camped just out of town heading towards Daffodil Hill--down Barone Road in Pete’s Meadows. We didn’t know anyone here and had no one to formally ask for permission. Sutter Creek ran right through the meadow and we camped there on the weekends for years during the “gentle weather” months…taking rooms at the St. George during the inclement weather. It was a peaceful introduction and a great escape from City living for this family. One day in 1964, I noticed a very small piece of paper taped to the window of the Brewery. “For Sale,” with a San Francisco telephone number. All the way back home from Volcano, I muttered, fretted and muttered some more. Finally Howard said…”When we get home…make the call for goodness sakes!” I did. It turned out the building was owned by a San Francisco socialite by the name of Gardner Mein. He was a highly successful business man who had a high-rise office located in the city’s Financial District. When I called him, he was polite and professional. “Why don’t you come to my office to discuss this, Mrs. Gottstein?” I put on my best two-piece wool knit suit and went there. After a brief discussion, we agreed on a price and I stood up to leave. He added politely, “It is customary to pay a deposit to conclude a real estate deal.” I was flummoxed. I had neglected to bring any money, a check book or anything. In a panic thinking we might lose out on the deal, I asked to borrow his phone. Calling Howard at the dry cleaning plant located in the Tenderloin district…I stammered…”Darling…we just bought the Brewery in Volcano…but I need a check or some cash to give as a deposit!” My wonderful husband suggested that I take a cab to meet him and I told him I didn’t even have cab fare! I took a cab and dear Howard paid the driver when I got there. Then it was to the bank and back to Mr. Mein’s office to complete the transaction. That was 1964. Today I am 94 and it feels like several lifetimes ago. The rest…as they say…is history.